Known for its best healthcare, educational facility and employment opportunities, Denmark is a country which attracts so many people towards itself. Every year, the country receives a lot of revenue from its tourism industry, depicting Denmark as a good place for venturing out for overseas nationals. 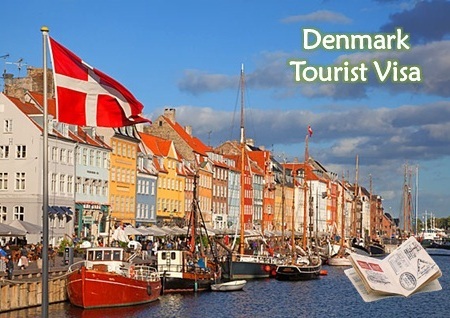 If you too wish to visit this enchanting land and enjoy the tourist hot-spots, apply for a tourist visa for Denmark. It will be a visit worth remembering and one which you wouldn’t forget in a hurry. A tourist visa to Denmark only permits an individual to visit Denmark for a limited period of time. However, if you wish to extend your stay in the country, you need to apply for a Denmark residence permit. IN case if you hold a residence or re-entry permit for any of the other Schengen countries, then you do not need a Denmark Visit Visa to enter the country. This visa is given for travelling or leisure purpose or for visiting family and friends and holds a maximum validity of 90 days in any 180 day period. A visa to visit Denmark usually does not take long to process. It usually takes about 10-12 days to process this visa. A Denmark tourist visa allows you to visit the beautiful places in this country. Some of the well-known places of tourist attraction include the Tivoli gardens, the Copenhagen zoo, National aquarium, the Little Mermaid, and many castles, palaces and resorts. If you are willing to apply Denmark tourist visa, drop down your details at MoreVisas Enquiry Form.